Workers’ compensation is meant to financially aid employees who sustained an injury or suffered an occupational health issue in their line of work. Workers’ compensation covers both the medical expenses for treating the illness or the injury, as well any lost wages resulting from it. It also protects the employer, as the worker covered by the workers’ compensation cannot sue the employer’s company for their medical issue in turn. However, the process is not automatic. You must first apply for the workers’ comp benefits. The claims administrator can either approve or deny the claim, at which point you have the right to appeal. With most of these appeals, you need to hire an experienced workers’ compensation attorney to present your case to the court of appeals. Still, this process can take some time which is bad news for most injured workers. 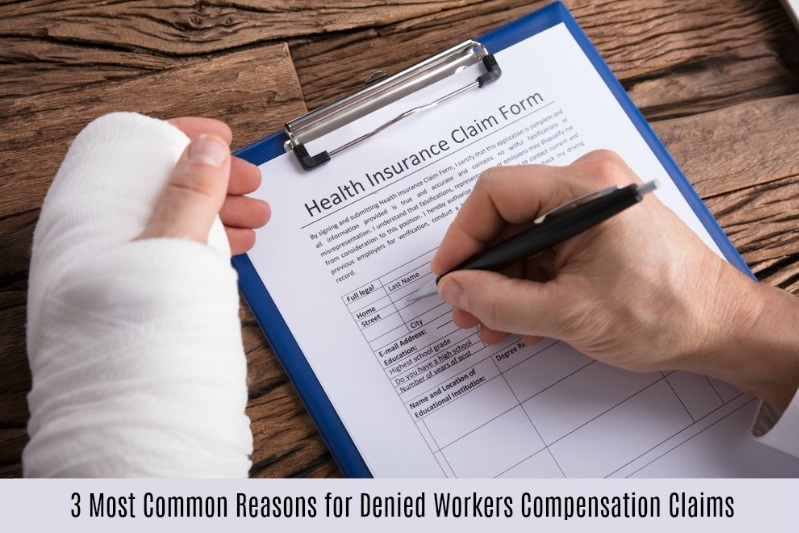 In this article, we’ll list the 3 most common reasons a claims administrator might reject your workers’ compensation claim. If you work for your employer on a part-time or freelance basis, you are not entitled to workers’ compensation claims. This should be made clear by the employer at the beginning of your contract. Workers’ comp benefits are reserved for full-time employees only. However, there’s the other scenario in which an employee files a workers’ comp claim but is currently not employed by the company. In these cases, the worker needs to prove that the illness or the injury predates the layoff or termination order. That is why it is extremely important to report any work injury you sustain as soon as possible, even if at the time it doesn’t seem serious. You never know if it might lead to a health condition. Doing so will ensure you get fairly compensated for an injury sustained at work. In order to obtain the workers’ comp benefits, you have to prove that you were injured or suffered a medical condition due to the occupational hazards or work environment. However, if there’s not enough evidence in your application to prove you were injured or that the injury can be linked to your job, the claims administrator might reject your appeal. In these cases, you claim will be additionally reviewed by a Qualified Medical Examiner. To prevent this, you need to make sure your treating doctor documents the full extent of your condition and that you submit all the necessary medical records with your workers’ comp claim. In your claim, you must present clear proof that your injury ora medical condition is work-related, even if the accident occurred away from the actual workplace. Many workers don’t know that they are covered by workers’ compensation insurance even if they were away from their workplace, but only if they were performing a job-related task at the moment. For example, if you were involved in a car accident while transporting materials or delivering something to a client you are still covered by workers’ compensation insurance. Similarly, if you get injured after hours but your boss asked you to do overtime, you are still eligible for workers’ compensation.